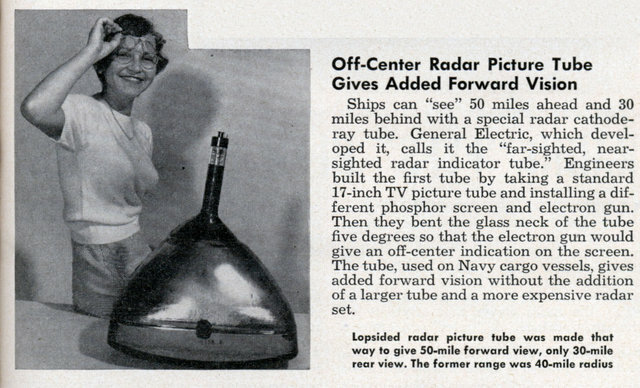 Ships can “see” 50 miles ahead and 30 miles behind with a special radar cathode-ray tube. General Electric, which developed it, calls it the “far-sighted, nearsighted radar indicator tube.” Engineers built the first tube by taking a standard 17-inch TV picture tube and installing a different phosphor screen and electron gun. 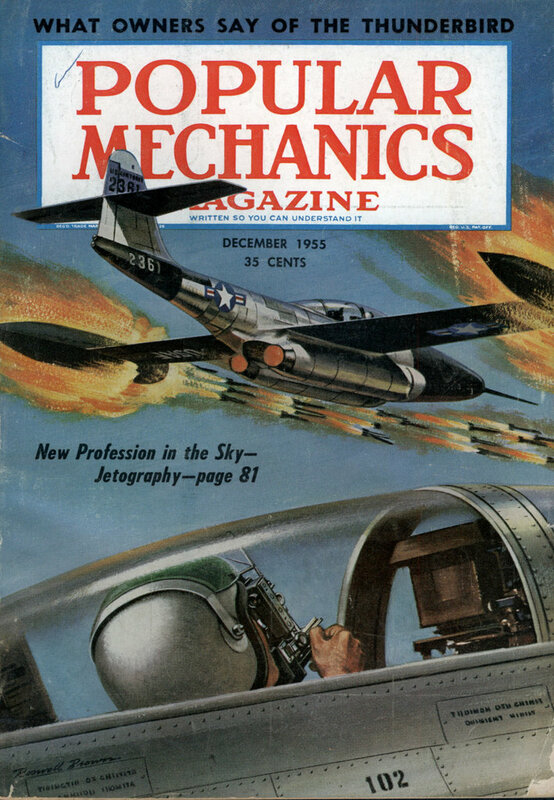 Then they bent the glass neck of the tube five degrees so that the electron gun would give an off-center indication on the screen. The tube, used on Navy cargo vessels, gives added forward vision without the addition of a larger tube and a more expensive radar set. Well the alternative would have been to install an additional fixed coils. I think back then the deflection coil actually rotated together with the antenna to get the circular movement. And after all, it’s just a small change to standard CRTs. The more important question: why is this woman wearing two pairs of glasses? Is her last name Flagg?